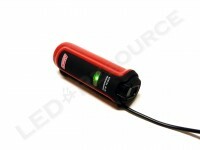 In certain situations, it may be inconvenient to hold a flashlight, or you may need both hands to get the job done. 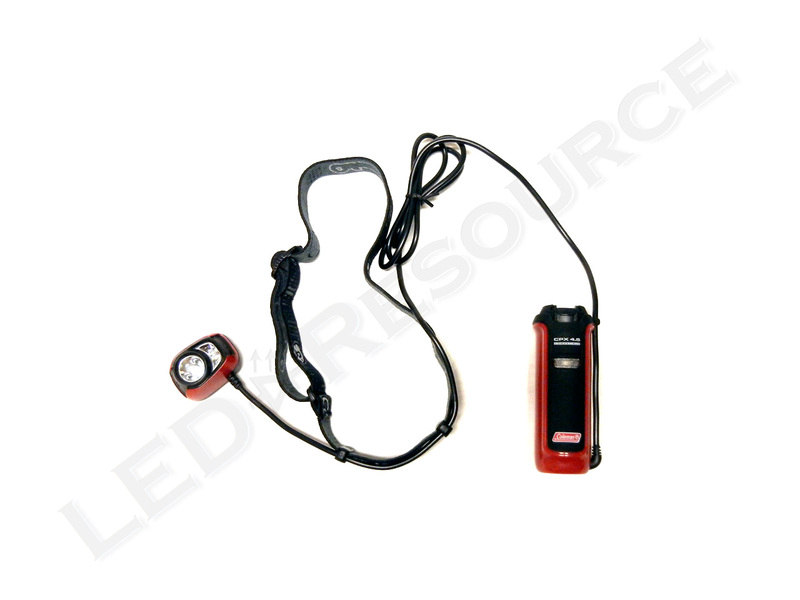 While flashlights are multi-purpose illumination tools, headlamps direct light in front of you, no matter where you are looking. Using the new CPX 4.5 interchangeable 3AAA battery system, the Coleman CPX 4.5 Headlamp is a dual-color headlamp that produces up to 85 lumens. 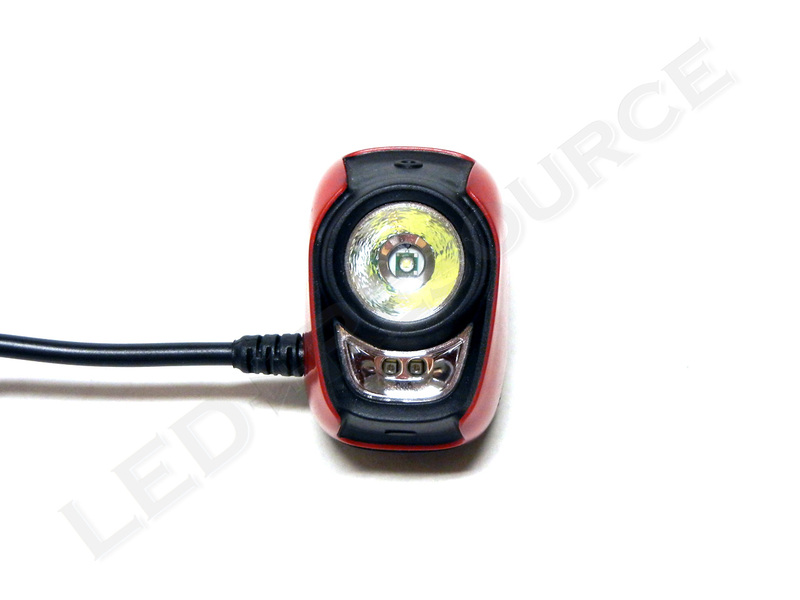 MSRP for the CPX 4.5 Headlamp is $34.99. 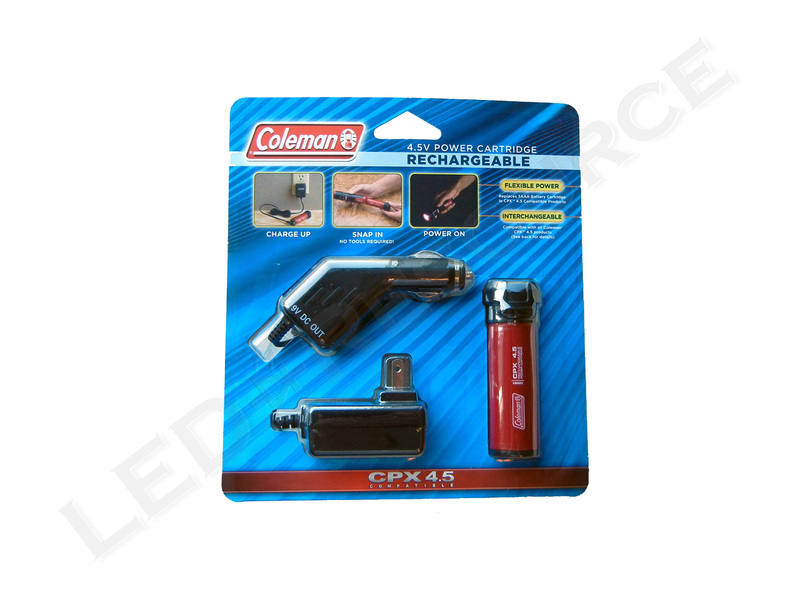 Included in the blister packaging are: Coleman CPX 4.5 Headlamp, head strap, 3 x AAA Duracell alkaline batteries, and user manual. 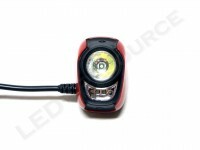 The CPX 4.5 Headlamp uses either the included 3AAA cartridge, or an optional rechargeable pack. To insert the batteries, twist and remove the top of the cartridge. The lamp head, which can be removed from the head strap, has one high-power white LED, two red LEDs, and two electronic switches. 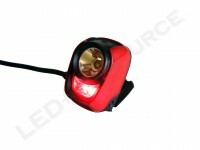 The head swivels up to 90°, and the switch on top controls the white LED, and the bottom switch is for the red LEDs. 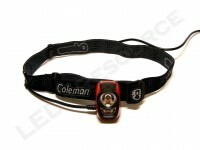 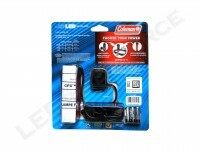 The batteries are connected to the lamp head by wire to reduce the weight of the headlamp, and a rubber clamp on the holder guides the wire upwards. 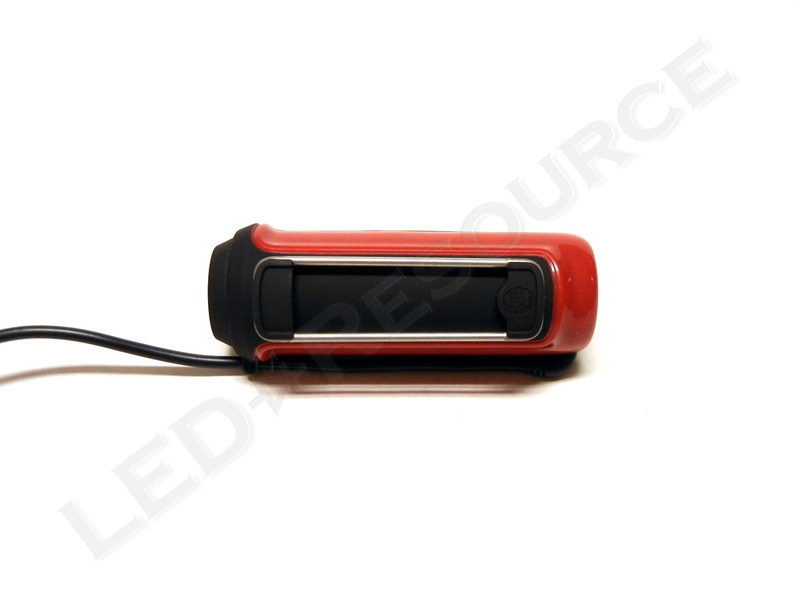 The holder has a battery meter, which changes color from green to yellow to red as the batteries are drained, and a belt clip. 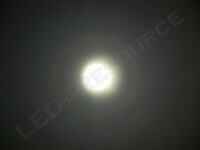 A single click activates full brightness. 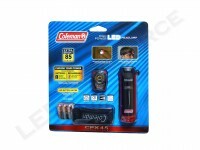 With two clicks, the low mode (23 lumens) is activated. A single click activates both LEDs for 6 lumens of red light. 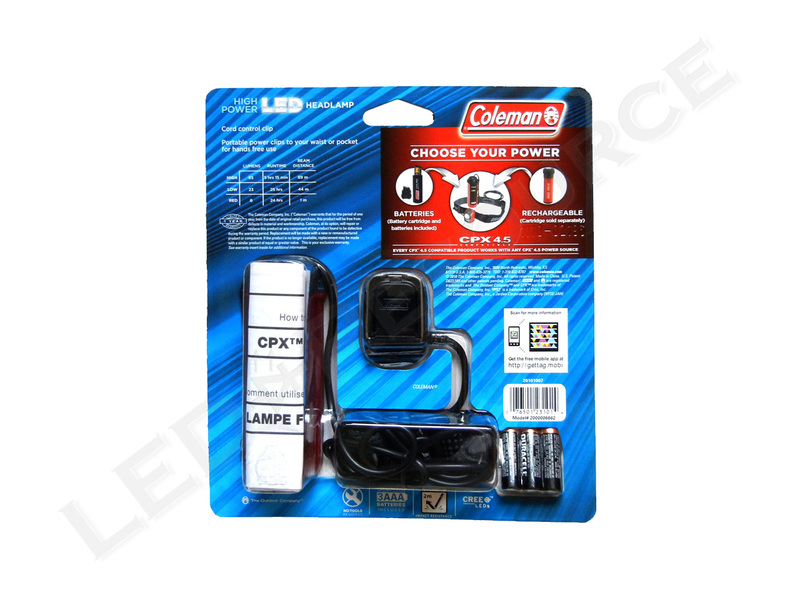 When the white LED is on and the lower button is clicked, the white LED will turn off when the red LEDs turn on (and vice-versa). 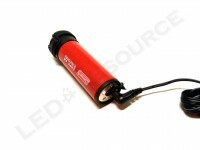 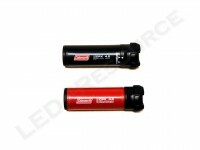 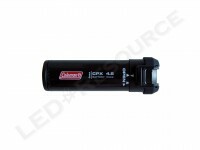 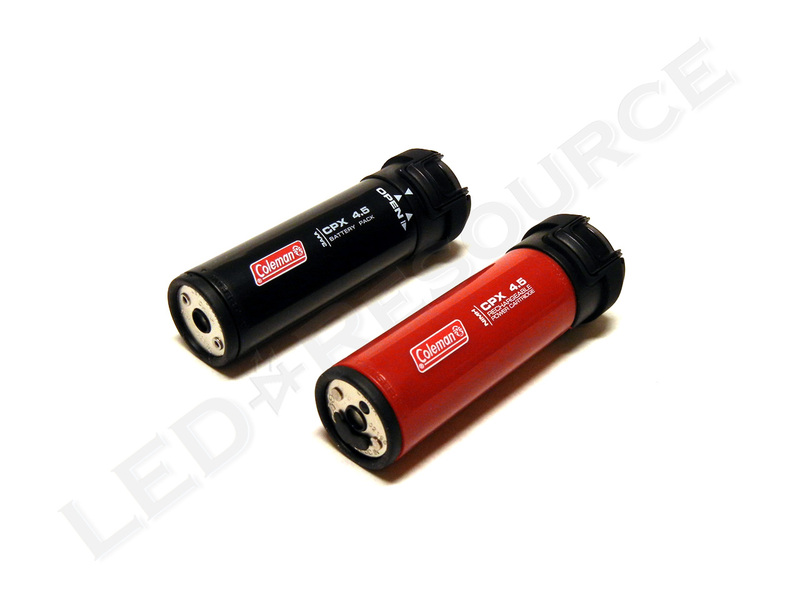 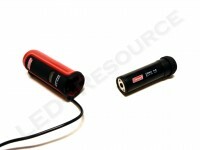 On alkaline batteries, the Cree XP-C LED produces 85 lumens on high for 5h 15m, or 23 lumens on low for 25 hours. The red LEDs produce 6 lumens for 24 hours. The headlamp has a shallow textured reflector that produces a wide beam, which is great for close work. An optional Rechargeable Power Cartridge (MSRP $24.99) is compatible with the CPX 4.5 family and is a direct drop-in replacement for the 3AAA battery pack. 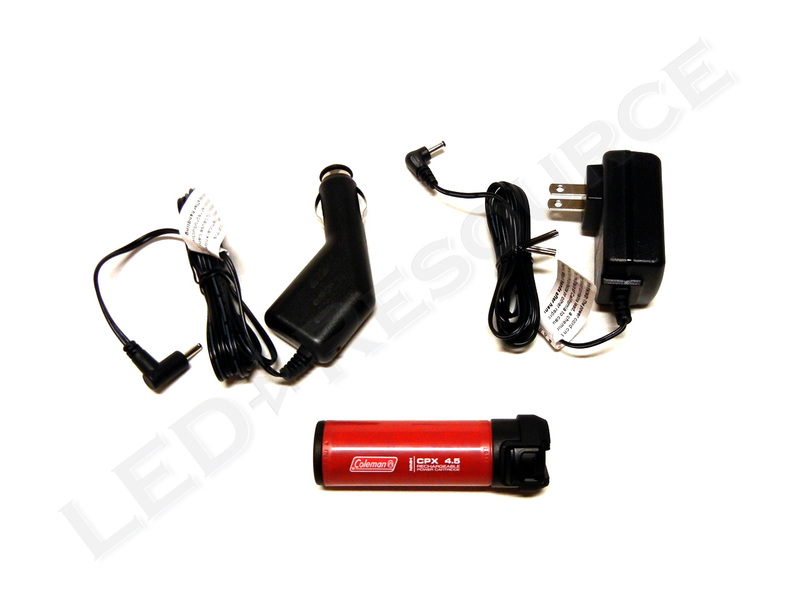 Both a 100V-240V AC adapter and a 12V car adapter are included with the 600mAh NiMH battery pack, which has a charge port and status LED on the bottom. 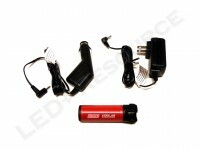 A full charge can take up to four hours. 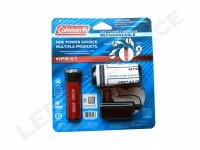 Unfortunately, the price is quite high for a NiMH battery pack, and the runtime was shorter than expected. 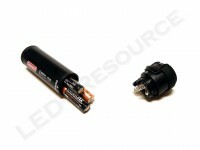 For a rechargeable solution, we would recommend using 3AAA Sanyo Eneloop batteries instead. 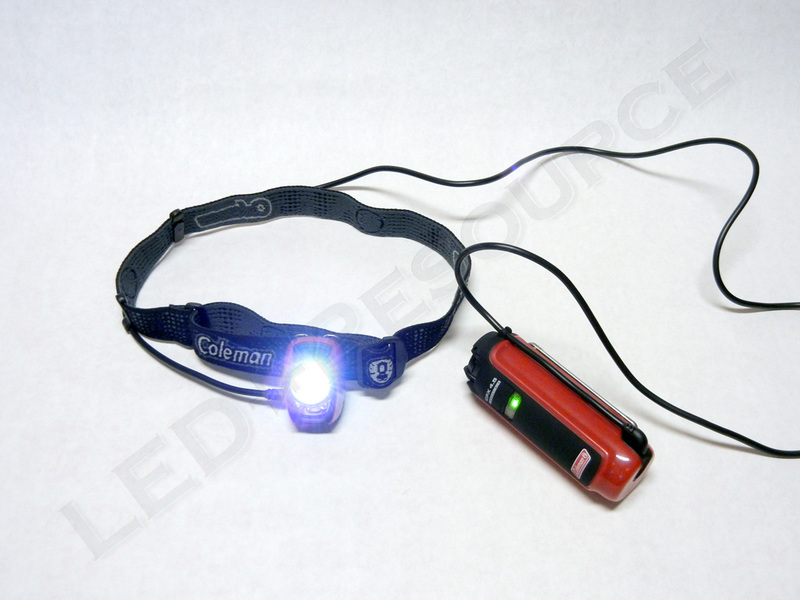 The Coleman CPX 4.5 Headlamp is a lightweight headlamp that features high and low modes, as well as low-output red light for preserving night vision. 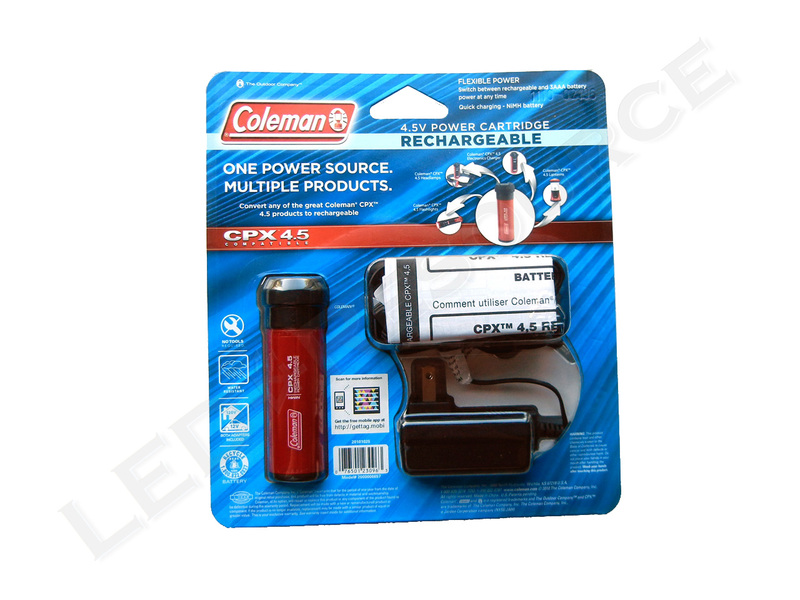 An interchangeable battery pack allows quick battery swaps between Coleman CPX 4.5 products, and battery level can quickly be checked on the battery holder.